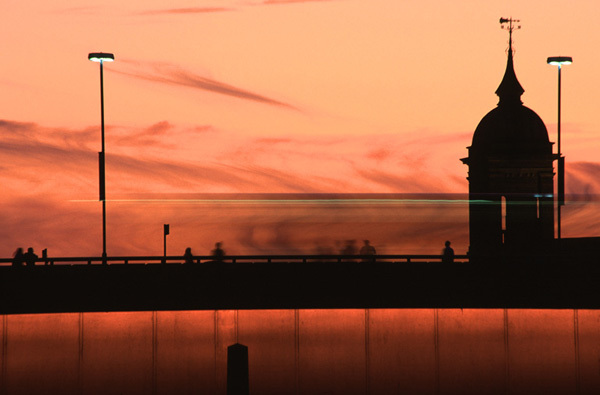 Ron and Maggie Tear Photography: London Bridge Dusk. This famous bridge featured in nursery rhymes and sales is now lit in beautiful red. Here strong sillhouettes of Canon St station and couples make the scene. A London bus has passed through during exposure.